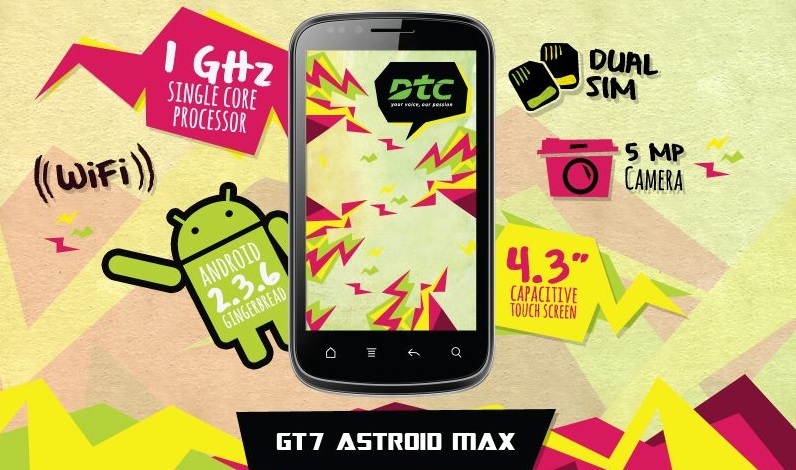 DTC Mobile, a leading creator of budget mobile devices in the Philippines just announced on their Facebook page that the DTC GT7 ASTROID MAX is now available in all DTC Mobile Kiosk nationwide! 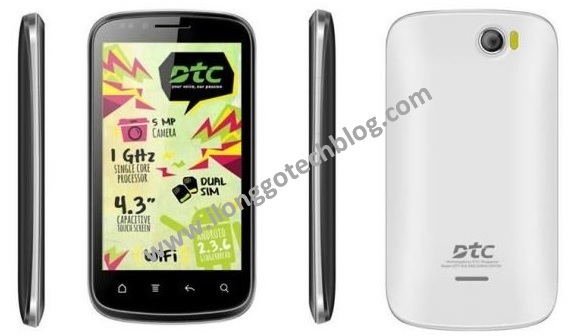 For only Php3,690 (SRP), the phone boasts a 4.3-inch WVGA display, 1GHz single-core processor, 5MP rear camera, dual-SIM, dual standby capability and runs on Android 2.3 Gingerbread. More details after the jump. Availability/ Release Date: Now available in all DTC Mobile Kiosk nationwide!